LIBFOOD, LLC is a American company and works closely with FEDEX.COM to ship within America and some international countries. FEDEX shipping is based upon size & cost. 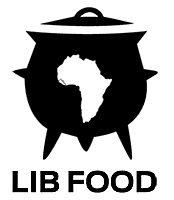 LIBFood shipping fees include shipping, handling and insurance for our perishable goods. When an order is placed, we work with FEDEX to calculate your exact shipping costs. However regardless of the the cost LIBFOOD only charges a flat rate, so there will be no surprises. LIBFOOD promises 1-3 business day delivery from the time of your purchase.